Welcome to Urban CoalHouse where we serve up old world Neapolitan traditions in a friendly, relaxed, welcoming atmosphere. We invite you to enjoy our carefully handcrafted signature menu which is prepared in our 900 degree Coal Fired oven using only the freshest, highest quality ingredients. Our award winning coal oven roasted wings, delicious appetizers, selection of artisan old world style pizzas and dinner platters are the perfect complement for time shared with family, friends colleagues, or that special someone. Urban CoalHouse boasts a wide selection of craft beer on Tap, homemade Sangria and signature cocktails for you to enjoy while dining, watching your favorite sports team on one of our many TV’s or during our extended after work & weekend happy hours. We invite you to enjoy and we look forward to seeing you again at Urban CoalHouse. The white sangria was very good. We shared a Caesar salad (small) which was more than enough. The sauce on the Margherita pie was tasteless but the chicken vodka pie was delicious. Trivia was going on so we were answering the questions but not involved in the actual game. Overall a fun experience. the food was good, we were given a table that was not big enough for the 7 of us. The noise level waas too loud too. We were here on St Patrick’s Day. Since the surrounding shopping mall is closed on Sundays we know not to expect a crowd. But there were 6 customers at most during our visit! Somehow the table service was slow and inattentive. Thankfully the bartender was paying attention even if our server was not ;-)... 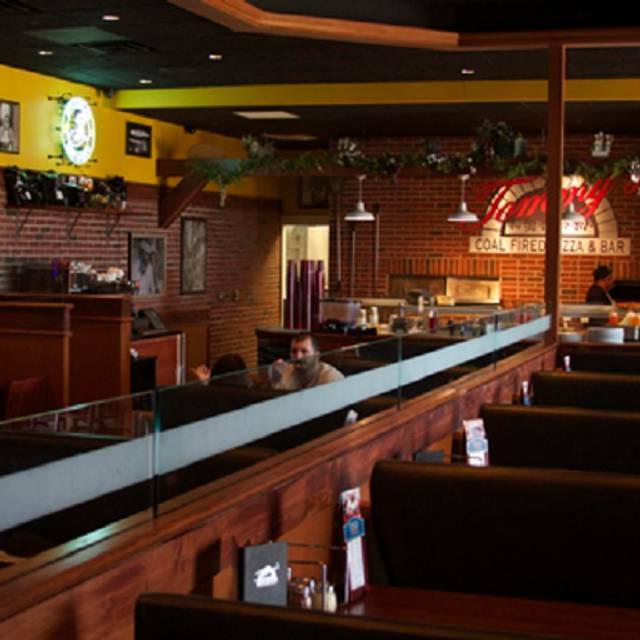 The pizza was as good as always, and we have been to Urban Coalhouse several times. Just went for drinks and trivia. Used OpenTable to request a high top and got a confirmation. Arrived and the hostess tells me they don't reserve high tops, that it's at the discretion of the bartender. Never heard that before have used the app to reserve hi-top successfully there before. Maura was a terrific server! I didn't feel comfortable there. It was just a random night for dinner with the family. The waitress was not interactive with us but she was with the other patrons. Also I saw only patrons of a certain shade of skin complexion dining. I thought since the name was Urban Coalhouse it was supposed to be more urban but that's not the case here. Food was lackluster at best. I will never ever come here again. Ruined my whole dinner experience. Our bartender/server provided excellent friendly attention! We asked the waiter if we could add a topping that was not one of the listed ones and we were informed yes. When the pizza came out, it was cold with copious amounts of sauce and prosciutto thrown on top. We had to send the pizza back and then the prosciutto came back dried out. Then when the bill came, we were charged 23 for one pizza which was dried out. Very surprised and dissatisfied. Unfortunately, we will not return. That said, perhaps it was an isolated incident. On a positive note, there was a great casual ambience. Have had different artisan pizzas and have not been disappointed. The apple salad is delicious. It’s a small place so, if there are children there, it can get quite noisy. Servers are friendly and attentive. Will definitely go back to try some of the other pizzas and would also like to try the chicken wings. Our server Sam was amazing. Professional and quick! We had a great time here! The pizza was great and the place looks significantly more clean than the other times I’ve been here! They’ve been getting better and better! I look forward to coming again soon! Love it! We keep coming back and back. Delicious wings and pizza! Manager was super nice ! Great personal pizza's and the Aruglua salad with Lemon dressing was outstanding. We will return, my daughter also enjoyed the infused Orrchard beer as well. Love the coal fire pizza and apple salad. We have been numerous times and their Wait Staff is exceptionally pleasant and consistent. Trivia Night is great! I really didn't think the food was worth what they charged you. The service was slow and not attentive.